The Best Content Marketing blogs from thousands of top Content Marketing blogs in our index using search and social metrics. Data will be refreshed once a week. Also check out Content Marketing Youtube Channels. Content Marketing newsletter is a comprehensive summary of the day's most important blog posts and news articles from the best Content Marketing websites on the web, and delivered to your email inbox each morning. To subscribe, simply provide us with your email address. Cleveland, OH About Blog Content Marketing Institute, a UBM company, works to educate and advise enterprise marketers on the art and practice of content marketing. Facebook fans 128,714. Twitter followers 252,614. San Francisco About Blog Lean content marketing is not just a series of best practices that our community regularly enrich, improve and share. It also provides a framework for our product roadmap which is how we built our business and enterprise versions on top of the Scoop.it platform. Follow this blog to learn how to get more return on investment from content. Facebook fans 74,337. Twitter followers 104,273. New York, London, Dhaka About Blog NewsCred Insights is the premier educational destination for marketers to learn about content management, strategy, distribution, and measurement. Through blog posts, tools, resources, webinars, and more, marketers will be positioned for success as they develop their content marketing strategy. Facebook fans 20,261. Twitter followers 106,830. Facebook fans 13,414. Twitter followers 19,750. About Blog Kapost is the only solution purpose-built for managing every aspect of the B2B buyer’s journey that means marketing content that drives real business results. We provide modern software and services for getting the right marketing content, to the right person, at the right time. Facebook fans 4,374. Twitter followers 7,641. United States About Blog Content marketing strategies, campaign critiques and best practices are covered here by SEJ’s expert guest contributors. Facebook fans 153,360. Twitter followers 145,800. Minneapolis, Minnesota About Blog Named #1 content marketing blog 3 times by Content Marketing Institute, TopRank Marketing is dedicated to helping marketers understand content marketing. TopRank Marketing helps companies grow brand visibility, reach and revenue online. Facebook fans 46,108. Twitter followers 35,117. NYC | Irvine, CA About Blog The latest news, videos, and discussion topics on Content Marketing. Facebook fans 3,260,625. Twitter followers 2,912,857. SEW HQ About Blog News articles, guides, reviews and commentary about content marketing by SEW. Facebook fans 40,458. Twitter followers 177,449. About Blog Content marketing management advice from our community, Our aim is help marketers succeed online by sharing good practice advice and the latest developments and tools. Facebook fans 59,491. Twitter followers 21,658. Victoria, British Columbia About Blog Our blog is about content marketing and copywriting. Posts include a range of topics, from content tips and practical writing advice to the latest SEO and content distribution techniques. Facebook fans 2,113. Twitter followers 3,256. Philadelphia, PA About Blog Michael Brenner is CEO of Marketing Insider Group providing content marketing strategy, content development and content marketing workshops. Marketing Insider Group provide consultants who have built successful marketing programs from the inside and know the challenges, the politics, the budget constraints, and the pressure to show real results. Facebook fans 761. Twitter followers 9,658. USA About Blog Brafton is an in-house content marketing agency that develops and manages targeted content strategies from blogs, graphics and video to SEO, social and more. Brafton is the only content marketing agency that uses a metrics-based approach to creating content that generates results. Fuel your career and your brand with content marketing insights, advice and news from Brafton's marketing experts. Facebook fans 2,064. Twitter followers 7,921. Toronto, Ontario About Blog Welcome to the ScribbleLive blog where we discuss trends, tips and best practices to assist with the planning, creating, and promotion of content marketing. Facebook fans 12,661. Twitter followers 20,360. San Francisco, CA About Blog A daily blog focused on content marketing advice and content marketing strategy for the modern marketers. Facebook fans 5,057. Twitter followers 8,815. USA About Blog Profitable insights for the modern marketer. The Influence & Co. Blog offers all of the latest content marketing news and advice. Influence & Co. specializes in extracting knowledge to create and distribute content that fuels companies executive branding and content marketing efforts. Facebook fans 2,434. Twitter followers 96,336. Maine and everywhere About Blog Welcome to our home on the web. Here, we discuss our thoughts on content marketing and content strategy, and share the tips and tactics we’ve learned in our years in the marketing trenches. Facebook fans 107. Twitter followers 156. San Mateo, CA About Blog Our content marketing blog posts and resources can help you create and maintain a competitive and scalable strategy. Facebook fans 166,637. Twitter followers 141,072. About Blog Plan, organize, and execute every content marketing project in one place with CoSchedule, an all-in-one content marketing editorial calendar solution. CoSchedule is the drag-and-drop marketing calendar that will help you plan ahead and save time. Facebook fans 9,126. Twitter followers 37,950. About Blog Content marketing posts by Daily Egg. For digital marketers, web managers and designers, we provide conversion rate optimization tips and trends that help you get higher conversions without having to earn a degree in statistics first. Facebook fans 10,178. Twitter followers 52,110. NYC, SF, LDN, MPLS About Blog Welcome to The Content Strategist, our industry-leading publication for content marketing news and analysis. The antidote to the marketing noise. Contently helps brands do great content marketing at scale—with smart technology, content strategy expertise, and a network of 100,000 freelance creatives. og:Description - Contently helps. Facebook fans 64,834. Twitter followers 66,595. Sydney, Australia About Blog Content Marketing Archives by Jeffbullas's Blog. Its mission is to educate and inspire business and personal brands to develop, grow and increase their sales on the social web. To make your brand visible online. Facebook fans 41,494. Twitter followers 524,756. NYC | LA | PHX | PDX | MIDWEST About Blog The most-trusted source of information about content marketing. One of America's fastest growing private companies, per Inc. Magazine, the Convince & Convert Consulting group provides digital marketing and customer experience strategic counsel to the world's most important brands. Facebook fans 68,574. Twitter followers 41,351. Chicago, IL About Blog UpCity is a local inbound marketing platform built for agencies looking to acquire, scale, and drive results for their small business customers profitably. Blog post covers content markrting. Facebook fans 888. Twitter followers 5,852. Europe About Blog Dreamgrow.com is a source of social media and content marketing information. We deliver actionable content that you can apply right now. Our goal is to give you tools that boost your efforts to new heights. Facebook fans 13,167. Twitter followers 9,660. Kansas City, MO About Blog Duct Tape Marketing Agency offering small and mid-sized business Simple, effective, and affordable content marketing information and system. Facebook fans 31,877. Twitter followers 115,827. New York, NY About Blog All content marketing content from DMN. DMN is the leading provider of digital and data-driven marketing analysis, research, and content. Our core audience is senior marketers who need both deep knowledge of the key marketing strategy issues and surface-level understanding of emerging news and trends. Facebook fans 6,846. Twitter followers 23,094. About Blog Razorsocial provides a marketing technology blog that specializes in social media and content marketing. Their focus is to show businesses tactics they can implement using relevant tools. They provide very practical and actionable content. Facebook fans 17,567. Twitter followers 26,087. US/UK/India About Blog Act-On is an integrated marketing automation platform designed to align inbound and outbound marketing campaigns across the customer lifecycle. This includes Act-On blogs regarding Content Marketing such as SEO-Friendly content, Anatomy of an Infographic and how to create a great webinar. Facebook fans 33,727. Twitter followers 40,799. Knoxville About Blog Content Marketing Archives from Schaefer Marketing Solutions by Mark Schaefer. Mark is an author, blogger, speaker and Social Media Marketing strategy consultant. Facebook fans n/a. Twitter followers 150,922. Facebook fans 2,597. Twitter followers 1,632. Seattle, WA About Blog AudienceBloom's content marketing blog. Full of tips, tricks, hacks, and useful advice to help you grow and convert your traffic, and bloom your business. Facebook fans 4,380. Twitter followers 3,447. New York, NY About Blog Heidi Cohen’s articles provide valuable content marketing insights and tactics that readers can readily apply to their current marketing plans to better engage prospects, customers and the public. Facebook fans 5,075. Twitter followers 32,602. Indianapolis, IN About Blog Content marketing products, services and systems for marketers. Whitepapers, case studies, corporate blogging, and writing tips and tricks. Facebook fans 8,114. Twitter followers 34,168. United Kingdom About Blog An online magazine for the modern marketer & digital industries, with news, articles and commentary on content marketing. Facebook fans n/a. Twitter followers 7,162. Phoenix, AZ About Blog Read more about content marketing on the Vertical Measures blog. Vertical Measures is a digital marketing agency based in Phoenix that can help you drive business growth through content marketing, SEO, and PPC services. Facebook fans 3,858. Twitter followers 6,329. About Blog Feldman Creative provides content marketing strategy, copywriting, and creative direction to help your company execute effective online marketing programs. Facebook fans 1,059. Twitter followers 46,879. Toronto, CAN About Blog Atomic Reach’s content marketing & curation blog provides content optimization and performance strategies with Writing tips on how to create audience-centric content to connect and engage with your readers. Facebook fans 1,773. Twitter followers 4,778. Facebook fans 2,779. Twitter followers 12,928. Portsmouth & London UK About Blog Read our archive of content marketing blog to learn how to use data to discover content ideas, promote your content plus other useful tips and advice. Facebook fans 448. Twitter followers 2,483. Fort Myers, FL About Blog Writing service that works with internet marketing and SEO agencies to increase conversions for their clients. Our feed is all about content marketing. Facebook fans 936. Twitter followers 4,198. London, UK About Blog The industry body for content marketing, the Content Marketing Association promotes the use of content as an effective marketing tool and showcases the range of channels that can be used to engage customers, from digital to video, branded TV, and the more traditional customer magazines. Facebook fans n/a. Twitter followers 8,012. Dublin, Ireland About Blog Dublin-based professional freelance writer, copywriter, and blogger. I specialize in blogging and content strategy on B2B and marketing topics. Facebook fans 1,548. Twitter followers 2,205. About Blog Wax Marketing is one of the few integrated marketing communications agencies that really knows how to create a fully synergized marketing and public relations campaign, providing information on Content Marketing. Facebook fans 271. Twitter followers 3,346. Sydney, New South Wales About Blog Exciting content marketing ideas for your website, social media and email campaigns. Castleford is a content marketing business. We support our clients by building strategies, creating content and providing expert advice and consultancy. Facebook fans 2,312. Twitter followers 3,096. Nashville, TN About Blog This site is dedicated to providing essential web writing advice, content marketing tips, and reflections on life and work. Facebook fans n/a. Twitter followers 30,006. Bangalore About Blog Content Marketing| Digital Marketing| Social Media| Bangalore| India. Yorke Communications offers integrated B2B content and digital marketing solutions for you. Transform your online marketing strategy for better ROI. Facebook fans 628. Twitter followers 294. New Delhi About Blog Esmee Network is a content development and marketing hub created with the aim to connect businesses with targeted markets, in both developed and developing countries, through authoritative and turnkey content solutions. Esmee Network offers “content solutions” to business owners through creatively engaging content development and marketing services across multiple verticals. The team ideates, strategizes and implements various campaigns to improve branding and business revenue. Facebook fans 1,594. Twitter followers 13. Bristol About Blog 90% answers to content and marketing questions, 10% guest posts and rants, our blog is more jam packed with fruity goodness than a WI jam stall. Valuable Content is a specialist content marketing consultancy & training firm in Bristol, UK, helping good businesses create and share content that matters. Facebook fans 287. Twitter followers 2,732. Hasbrouck Heights, NJ About Blog Content4Demand is a division of G3 Communications, a B2B firm specializing in e-media and custom content solutions. Since its inception, Content4Demand has provided B2B organizations with the strategies, frameworks and services to develop buyer-focused content and campaigns. Facebook fans 128. Twitter followers 2,395. Berlin About Blog Content Marketing posts from Crispy Content. It is a full-service b brand communication agency specialized in all forms of Content. Facebook fans 637. Twitter followers 1,216. About Blog We help the businesses to succeed online with our web application. Portland, Oregon About Blog Transform your business and customer experience by building and improving your content marketing process. Facebook fans 2,922. Twitter followers 9,254. About Blog Sparksheet by Spafax Content Marketing is an award-winning blog that explores the intersection of content, marketing, PR and media sales. Facebook fans 21. Twitter followers 9,422. About Blog Comprehensive up-to-date news coverage on content marketing, aggregated from sources all over the world by Google News. Facebook fans 22,254,193. Twitter followers 212,871. Facebook fans 516. Twitter followers 10,337. Washington DC About Blog Reflections on creating compelling marketing, advertising & public relations strategy by Rohit Bhargava. Facebook fans 8,655. Twitter followers 34,524. Global About Blog Looking for an informative and interesting content marketing blog? King Content is a leading global content marketing agency, recognised for the creation and execution of award-winning end-to-end content marketing strategies. With offices in Sydney, Melbourne. King Content Australia can help you wherever you are. Facebook fans 1,289. Twitter followers 7,764. Tampa, Florida About Blog Find and Convert helps B2B organizations generate new lead and sales opportunities through content marketing. Effective content marketing and Digital content strategy creates or expands brand awareness, generates demand, and produces measurable business outcomes. Facebook fans 9,676. Twitter followers 12,920. Portland, OR About Blog Content Marketing Archives - Iterate Marketing. Facebook fans 266. Twitter followers 2,514. Vododara, India About Blog SnapWryt is a content marketing journal for news, how to guides and expert interviews. This journal is for students, industry experts and growth marketers. Facebook fans 732. Twitter followers 133. About Blog Follow this blog to know more about Content Marketing for marketplaces and small businesses. France About Blog Elokenz Blog - Give tips about increasing your authority as an online influencer with advices on how to promote your content. Seattle, WA About Blog Our content marketing blog features posts from the Content Harmony team, covering content creation, promotion, and other tips for B2B & B2C marketers. Facebook fans 449. Twitter followers 1,019. Seattle About Blog Browse our copywriting blog posts to learn more about our approach and techniques when writing copy for websites, blogs, ads, and other digital mediums. Facebook fans 3,833. Twitter followers 4,804. Tel Aviv, Israel About Blog Influencer Marketing Strategies Blog for Content Marketers. Ron Sela is helping businesses and individuals with increasing their influence online, including engagement via Twitter, Facebook, LinkedIn, YouTube, Content Marketing & Search Engine Optimization. Facebook fans 1,502. Twitter followers 14,728. About Blog Arrowmaker Communications Limited provides Marketing copywriting services which provides brochures, blogs, website copy, case studies, white papers, video/animation scripts and more. Checkout this site for blog ideas, copywriting and much more. Boston, MA About Blog Curata's software enables marketers to scale content marketing to grow leads and revenue. Facebook fans 1,415. Twitter followers 3,932. San Francisco, CA About Blog Reach Your Customers with Content Marketing and Copywriting. VerticalResponse provides a full suite of self-service marketing solutions for small businesses and non-profit organizations. Facebook fans 38,489. Twitter followers 174,103. Austin, TX About Blog How to get more readers, become an authority in your niche, and get the attention you deserve. Blog post covers content marketing stratergies and concepts. Facebook fans 24,039. Twitter followers 46,346. Emeryville, CA About Blog The TechValidate blog, where we offer our tips for successful B2B content creation and marketing. Facebook fans 575. Twitter followers 2,360. Scotland About Blog Curious about how content marketing will grow your business? Here at the CMA it's our job to teach content marketing and help you figure that out. Facebook fans 1,383. Twitter followers 1,672. Canton, Ohio About Blog The (EMP) E-Marketing Performance blog is dedicated to providing you with the SEO, website marketing, and small business information you need to succeed online. Brought to you by the crew at Pole Position Marketing. Facebook fans 375. Twitter followers 2,180. Orlando, FL About Blog Content Marketing Archives by Susan Gunelius's Keysplash Creative. KeySplash Creative is a marketing communications company providing content, copy, and all forms of messaging for strategic brand development as well as coaching and consulting services. Facebook fans 352. Twitter followers 25,036. Leeds, Yorkshire, UK About Blog The JRC blog posts focuses on content marketing to increase your business presence and brand online. Facebook fans 992. Twitter followers 1. Bradenton, FL About Blog Content Marketing Archives from Providentia Marketing. Facebook fans 575. Twitter followers 89. About Blog The Huffington Post on Content Marketing. Facebook fans 9,228,430. Twitter followers 9,628,570. Delray Beach, FL About Blog Fractl is a content marketing agency that fuses data journalism with PR. Partner with us to increase your organic traffic, press mentions, & conversions. Our mission is to produce the most engaging and emotional experiences on the web. Facebook fans 1,720. Twitter followers 1,879. Boston About Blog Content Marketing information from one of the most widely recognized experts in content marketing, Handley is an author, speaker, and the Chief Content Officer at MarketingProfs. Facebook fans n/a. Twitter followers 28,575. Chicago About Blog Do you have a content marketing strategy that works? We create beautiful content that attracts and engages your customers and improves your rankings. Facebook fans 24,997. Twitter followers 388. Minnesota About Blog Posts about content marketing from the eStrategy Online Marketing Blog archives. Facebook fans 3,333. Twitter followers 1,948. New Haven, Connecticut About Blog A clever little content marketing studio in New Haven, CT solely focused on creating and sharing awesome content that makes people take action. Facebook fans 345. Twitter followers 486. About - BuzzSumo offers social insights for content marketers to help you formulate your content strategy and discover outreach opportunities. About - We are a boutique content agency working with clients of all sizes and verticals to create high impact content and bespoke digital experiences audiences love. Today we are working with some huge national and international brands including REED, eHarmony and Lego. About - The industry body for content marketing, the Content Marketing Association promotes the use of content as an effective marketing tool and showcases the range of channels that can be used to engage customers, from digital to video, branded TV, and the more traditional customer magazines. 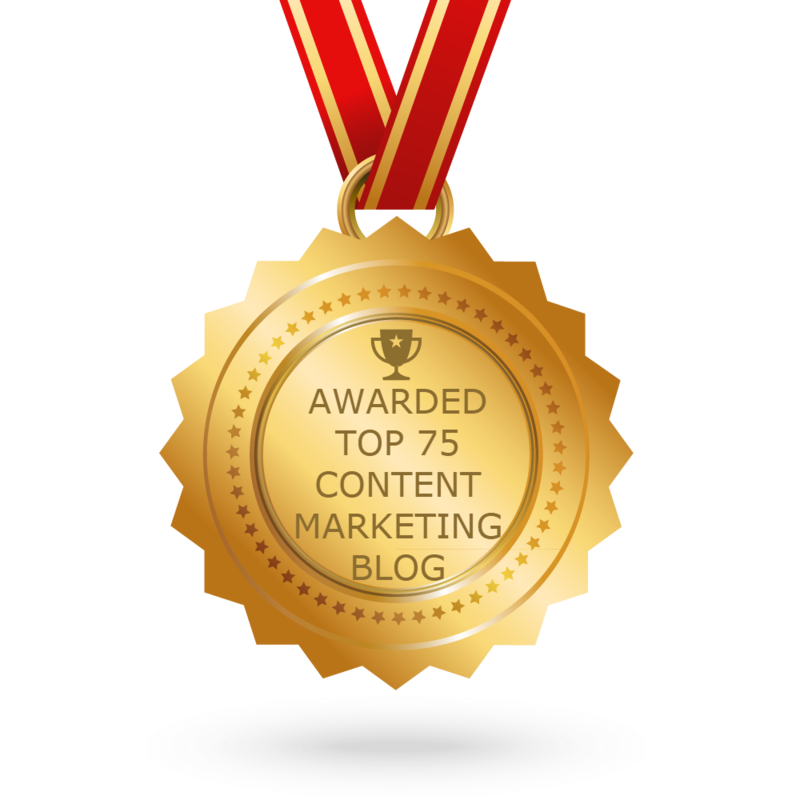 CONGRATULATIONS to every blogger that has made this Top Content Marketing Blogs list! This is the most comprehensive list of best Content Marketing blogs on the internet and I’m honoured to have you as part of this! I personally give you a high-five and want to thank you for your contribution to this world.